1. What is Influenza (also called Flu)? The flu is an extremely contagious respiratory illness caused by influenza A or B viruses. 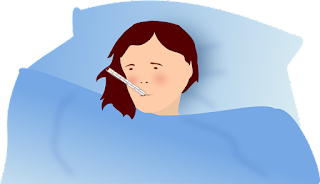 Flu appears most frequently in winter and early spring in subtropical area, and throughout the year in tropical area. Serious outcomes of flu infection can result in hospitalization even death. Influenza is caused by influenza viruses that infect the respiratory track: nose, throat, and sometimes the lungs. It can cause mild to severe illness, and at times can lead to death. Oftenly, some people confuse to distinguish influenza with other illnesses caused by other viruses or bacteria, including severe colds (rhinovirus) or “the stomach flu” (norovirus and other viruses and bacteria). There are 4 types of seasonal influenza viruses, types A, B, C and D. Influenza A and B viruses circulate and cause seasonal epidemics of disease. Influenza A viruses, classified into subtypes according to the combinations of the hemagglutinin (HA) and the neuraminidase (NA), the proteins on the surface of the virus. Influenza B viruses are not classified into subtypes, but can be broken down into lineages. Currently circulating influenza type B viruses belong to either B/Yamagata or B/Victoria lineage. Influenza C virus is less frequently been detected and usually causes mild infections, thus does not present public health importance. Influenza D viruses primarily affect cattle and are not known to infect or cause illness in people. It is very hard to distinguish the flu from other viral or bacterial causes of respiratory illnesses on the basis of symptoms alone. The majority of cases of human influenza are clinically diagnosed. However, during periods of low influenza activity and outside of epidemics situations, the infection of other respiratory viruses e.g. rhinovirus, respiratory syncytial virus, parainfluenza and adenovirus can also present as Influenza-like Illness (ILI) which makes the clinical differentiation of influenza from other pathogens difficult. Mainly, influenza occur in the fall and winter months in the US and infects anywhere from 5-20 percent of the population each year. Flu seasons are unpredictable and can be severe. For example, between 1976 and 2006, estimates of flu-associated deaths in the US ranged from a low of about 3,000 to a high of about 49,000 people. Unfortunately, there is no way to know beforehand whether any one flu season will be mild or severe. In temperate climates, seasonal epidemics occur mainly during winter while in tropical regions, influenza seasonality is less obvious and epidemics can occur throughout the year. Most experts believe that flu viruses spread mainly by tiny droplets made when people with flu cough, sneeze or talk. These droplets can land in the mouths or noses of people who are nearby. Less often, a person might also get flu by touching a surface or object that has flu virus on it and then touching their own mouth, nose, or possibly their eyes. You may be able to pass on the flu to someone else before you know you are sick, as well as while you are sick. Although people with the flu are most contagious in the first 3-4 days after their illness begins, some otherwise healthy adults may be able to infect others beginning 1 day before symptoms develop and up to 5 to 7 days after becoming sick. Some people, especially young children and people with weakened immune systems, might be able to infect others with flu viruses for an even longer time. Anyone can get the flu (even healthy people), and serious problems related to the influenza can happen at any age, but some people are at high risk of developing serious flu-related complications if they get sick. People at greater risk of severe influenza disease or complications when infected are: pregnant women, children under 59 months, the elderly, individuals with chronic medical conditions (such as chronic cardiac, metabolic, neurodevelopmental, pulmonary, renal, liver or hematologic diseases) and individuals with immunosuppressive conditions (such as HIV/AIDS, receiving chemotherapy or steroids, or malignancy). Health care workers are at high risk acquiring influenza virus infection due to high frequency exposure to the patients and risk further spread particularly to vulnerable individuals. Usually people who get influenza will recover in a few days to less than two weeks, but some people will develop complications (such as pneumonia) as a result of the flu, some of which can be life-threatening and result in death. Complications of influenza can include bacterial pneumonia, bronchitis, ear infections, sinus infections, and worsening of chronic medical conditions, such as congestive heart failure, asthma, even diabetes. The flu can make chronic health problems worse. For example, people with asthma may experience asthma attacks while they have the flu, and people with chronic congestive heart failure may experience worsening of this condition that is triggered by the flu. The first and most important step in preventing flu is to get a flu vaccination each year. Safe and effective vaccines are available and have been used for more than 60 years. Immunity from vaccination wanes over time so annual vaccination is recommended to protect against influenza. Injected inactivated influenza vaccines are most commonly used throughout the world. Among healthy adults, influenza vaccine provides protection, even when circulating viruses do not exactly match the vaccine viruses. However, among the elderly, influenza vaccination may be less effective in preventing illness but reduces severity of disease and incidence of complications and deaths. Vaccination is especially important for people at high risk of influenza complications, and for people who live with or care for the people at high risk. CDC also recommends everyday preventive actions (like staying away from people who are sick, covering coughs and sneezes and frequent handwashing) to help slow the spread of germs that cause respiratory (nose, throat, and lungs) illnesses, like flu. Bed rest is the first thing to do when infected by influenza virus, and get more water to drink. For mild influenza infection, your body will get well soon. But in some cases, doctor may prescribe an antiviral medication, such as oseltamivir (Tamiflu) or zanamivir (Relenza). If taken soon after you notice symptoms, these drugs may shorten your illness by a day or so and help prevent serious complications. You can also treat influenza with herbal medication, you can find some natural herbal medication to treat influenza at How to Treat Influenza with Natural Herbal Remedy.